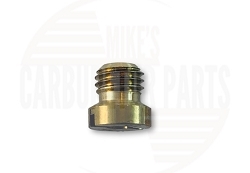 1 barrel Solex replacement universal down draft carburetor. Manual choke. Used to replace many 4 cylinder carburetors, including industrial. Can be a replacement for the Toyota forklift with the Aisan carburetor. Include an adjustable main jet. 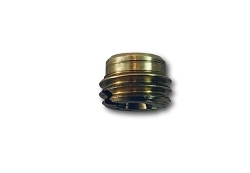 Ethanol resistant parts are used. Throttle lever is 360 degrees adjustable. Includes a vacuum port when needed. An adapter may have to be custom made in order to mount the carburetor. 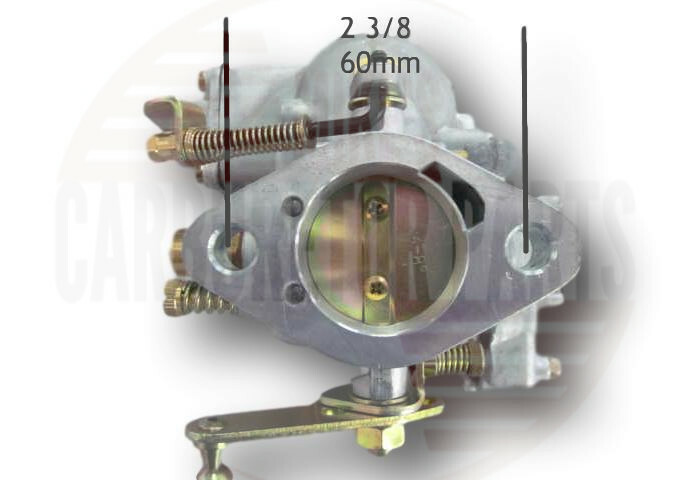 This carburetor has a 2 bolt flange mounting. The Aisan probably has a 4 bolt mounting. Warranty is void if any dirt is found in the carburetor so be sure to have a fuel filter installed. For your convenience, this carburetor includes the filter. Any warranty problems are handled by the manufacturer. The carb is configured the same way as the original Asin carb. It fits with very little work. Arrived on time, works like a charm. Used it on a Toyota forklift with 4P engine. Happy as a clam!! The original Aisan carb was not refillable, and a new one was $1200. This one works great at a fraction of the price. Q: will this solex universal fit 1967 oliver 40 tractor it looks close? Q: I need to replace a Solex M34. The carburetor also has the numbers 1006 and 88v. Will this carburetor work? Q: Will this fit a 51 international harvester pickup truck model L-112, 6 cylinder? Q: Does this carb replace any of duel carbs on a volvo penta 4cyl ? , if it does where do I find an adapter to mount from a four to a two bolt mount? A: It works on many of the 4cyl applications, you have to compare the photos to your set up to be sure it will link up correctly. I don't know where you can get a spacer for your purpose but you could try dashman.net online. 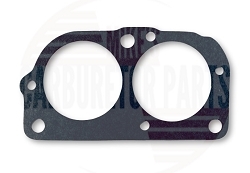 Q: Can this carburetor replace the LPG carburetor currently on the 5r engine? A: No, these are for gas applications only. Q: Will this fit a Toyota forklift 3FG15 4 P engine? 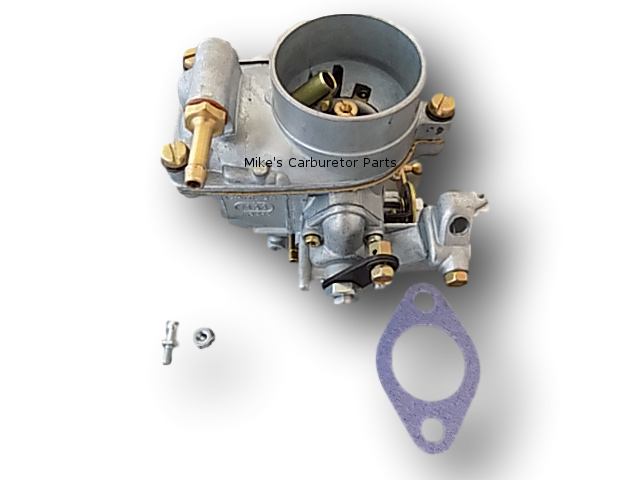 Q: Does this carburetor fits in my CHEVY BEL AIR 1954 2 DOORS? Thank you!!! 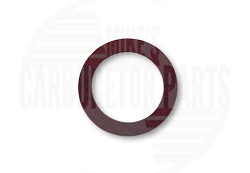 A: This is primarily used to replace carburetors on 4cyl industrial engines. Use the dimensions and photos provided to be sure it will connect to your existing set up. If I knew what type of carburetor you were replacing I could be more specific. Q: I have a42/3 fg15 Toyota fork 5r older model it is a alsan model two hole mouting do you think it will fit ? 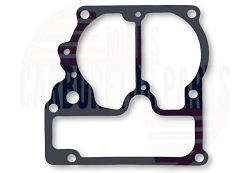 A: Solex replacement universal down draft carburetor. Manual choke. Used to replace many 4 cylinder carburetors, including industrial. Can be a replacement for the Toyota forklift with the Aisan carburetor. Use the dimensions on the "Specifications" tab to be sure it will mount correctly. Q: will this universal solex replacement carb work on an 1830 case skidsteer with the renault motor? A: Sorry I can't say for sure. It replaces many of the 4 cyl industrial carbs, you'll have to use the photos and dimensions provided to be sure it will mount to your existing system. Uses a barbed fitting for the fuel inlet. Top bore is 2" diameter. An air filter would have to fit 2". Be sure to install the fuel filter.